The Obscure Comic Book Film Source Project. A multi-blog look at lists of “Movies You Didn’t Know Were Based On Comics” to see how true they really are. 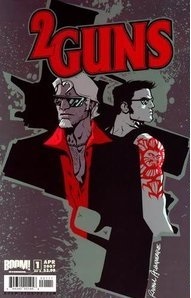 Two Guns is a 2007 mini-series by Steven Grant & Mateus Santolouco based on Grant’s unproduced spec film script.